In a modest Mexican kitchen in 1959, three-year-old Dora watched as her mother boiled corn to make traditional masa by hand. She was preparing the ingredients for her homemade tortillas – tortillas she sold to her neighbors in the Rio Grande Valley to help provide for her children. This was the beginning of our heirloom family bakery and a lasting commitment to de la familia love, the foundation of De Alba Bakery. As the business grew, so did Dora. By the time she was 11, her mother shared with her the art of artisanal Mexican tortilla-making – traditional techniques that De Alba Bakery still uses to this day. These ancient, time-consuming methods and uncompromising standards are not taught in any culinary school. They are unique to a family bakery; an art form lovingly taught by our foremothers; craftsmanship that Dora took to heart. By the 1980s, Dora’s mother could no longer keep up with the demands of running a family bakery; and talk of shutting down this de la familia tradition was quickly becoming a reality. Until, that is, Dora stepped up. Unwilling to let the legacy of hand-made love her mother built die, Dora threw herself into the work, pushing the family bakery to thrive through hard work, pain, perseverance and that one crucial ingredient – faith. By 1983, De Alba Tortilleria in San Benito, Texas, was opened, turning Dora’s mother’s efforts to sell traditional Mexican tortillas into the first De Alba family bakery. After almost a decade of success, Dora and De Alba Bakery expanded, opening the first De Alba Bakery in McAllen, Texas. While the business quickly grew, Dora never forgot the lessons she learned all those years ago in her mother’s kitchen. Now raising a daughter of her own, Dora passed her passion for traditional Mexican cuisine on to her daughter, Ana De Alba, who now runs all four De Alba Bakery locations. Though these artisanal techniques are painstaking methods that must be executed with care, at De Alba Bakery, we were unwilling to compromise our standards of quality foods made with natural ingredients and served with our foremothers’ unconditional love. 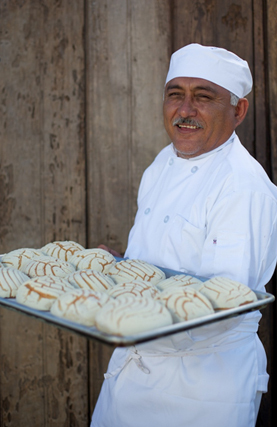 This tangible touch of soul is our promise at our family bakery – one we remember each time we serve our artisanal Mexican breads, cakes, tortillas and tamales. 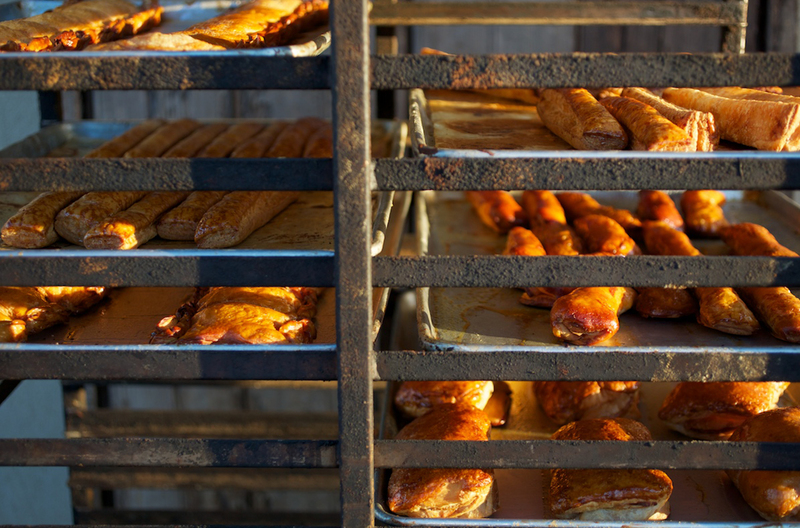 At De Alba Bakery, our experienced staff has perfected the art of traditional cooking methods to offer guests a variety of artisanal Mexican breads, pastries, cakes and tamales. Our family bakery combines time-honored techniques with innovative culinary thinking and a commitment to all-natural ingredients to ensure every product we serve is prepared with perfection. 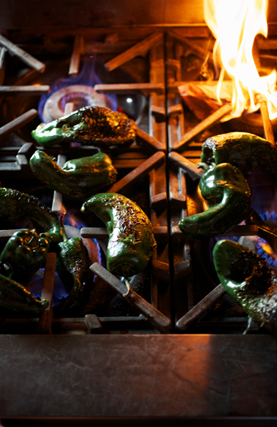 Having evolved with Mexico itself, Mexican cuisine is a tangible taste of our culture’s history. For years, chefs have modified classical techniques to create dishes that are uniquely Mexican – flavors only found at family bakeries like ours. At De Alba Bakery, we follow in these footsteps, using culinary methods no school has ever taught to create our artisanal products. Our foremothers’ belief in serving others with the same uncompromised reverence given to family is one of the most important traditions of our heirloom family bakery. At De Alba Bakery, we treat everyone as honored guests in our home, serving nostalgia to some and a taste of a new culture to others. In both cases, the purity of our product matters. 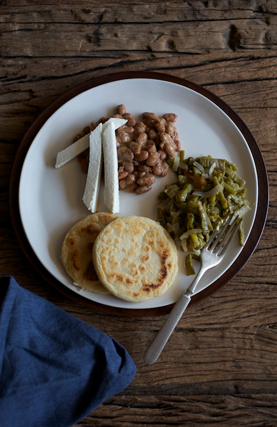 Following Mexican culinary customs, we use heirloom Mexican ingredients and follow the same cooking processes taught in our grandmother’s kitchen. We do not believe in shortcuts. Each day, our team is up before sunrise to prepare fresh goods that are made using all-natural ingredients. In doing so, we honor the essence of our name – De Alba – which means “sunrise” in Spanish and comes from the Latin root word for white. The purity of this act of love is a commitment you can taste.